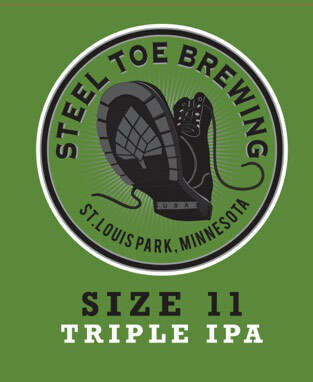 This beastly Triple India Pale Ale is the biggest of brothers to Size 7. Aromas of ripe Tuscan melon, honey dew and citrus explode at first sniff. Built on the same back bone, but doubled in all aspects. Malt sweetness up front, with a full mouthfeel, give way to ridiculously copious layering of hops. Wave after wave of citrus peel, grapefruit, honey dew melon and guava are pronounced from aroma, to flavor, to finishing bitterness. Warming but not hot, this one will definitely rock your hoppy world!